Field recordists & composers, morning larks and moles, sound spies and spellers: The Garden is Calling! Datscha Radio Taipei calls out for local contributors and participants: Nomadic (Garden) Radio – A Quest in Six Movements. 20th Jan – 10th of March 2019. Datscha Radio will relocate for six weeks to Taipei and is looking for local sound gardeners and radio artists to perform and/or create soundscapes, talks and radio shows on site. Datscha Radio takes ‚the garden’ as a matrix and metaphor for sharing, organic growth and the dissemination of knowledge. Bring your plants and musical contemplations, come and visit at the top of Treasure Hill and support your local radio garden in Taipei! Please send your suggestions, ideas and/or files to: opencall@datscharadio.de from 5th of January to the 10st of March. You’ll find further information about the project on datscharadio.de. You’ll find there also the latest updates on Datscha Radios Taipei adventures and, of course, the current dates and times of the envisaged broadcasts. Datscha Radio is a temporary radio station and a garden and radio art project by Gabi Schaffner, Berlin. 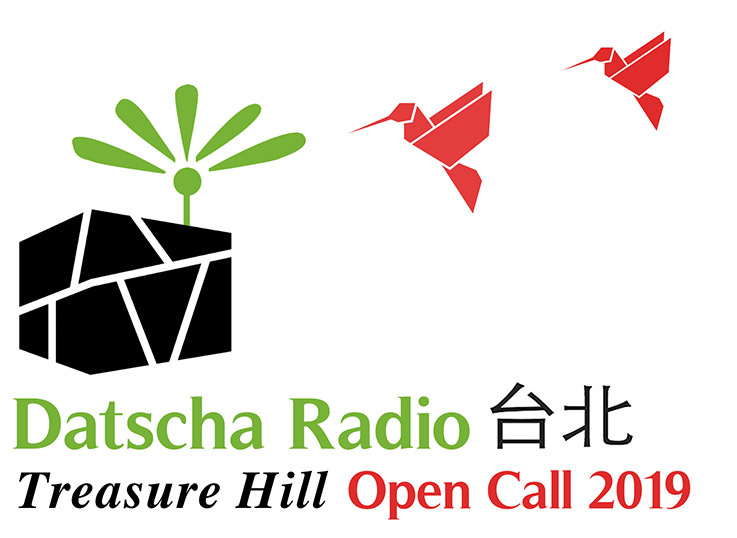 Datscha Radio Taipei is supported by the Treasure Hill Artist Village and the Goethe Institut Taipei.